YOU LOVED THE RESTORATIVE DEEP SLEEP ON MSC'S CRUISE SHIPS WHICH LET YOU TO LIVE YOUR HOLIDAYS TO THE FULL..
That's a dream you can live again every day, discovering the pleasure of sleeping as well at home as you did on your cruise. Let the dream continue!" WE WANT TO OFFER YOU THE POSSIBILITY OF RELIVING THE JOYFUL WELLBEING YOU FELT SLEEPING ABOARD WHEN YOU RETURN HOME, WAKING DEEPLY RESTED EVERY MORNING. 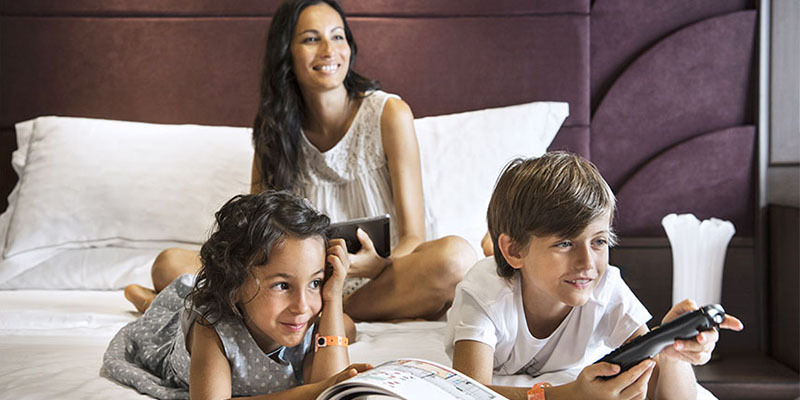 For over 10 years, MSC Cruises has trusted Dorelan's experience to ensure its guests enjoy the best sleep quality. Our partnership has been further consolidated with the design of a new line of mattresses, pillows and toppers that benefit from the latest technologies. MSC and Dorelan share the values of tradition, family and passionate dedication. For both of us, our customers' wellbeing is at the heart of everything we do. It always has and always will. Sleeping well on holiday and at home means being able to realise the full potential in every moment, living life to the full. So, in the same way MSC offers authentic hospitality that's tailored to pamper its guests with a true experience of luxury, Dorelan designs its models around its customers' needs with a passion and scrupulous attention to detail that are typical of Made in Italy excellence. 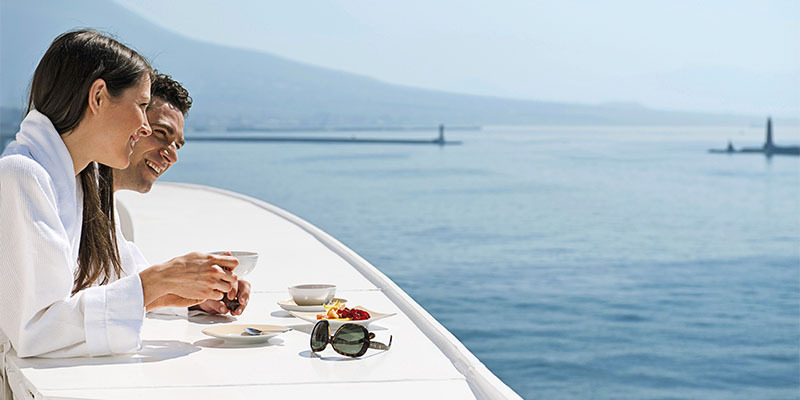 MSC CRUISES AND DORELAN SHARE A CONSTANT QUEST FOR EXCELLENCE AND TOP QUALITY THAT'S PURSUED EVERY DAY. THROUGH RESEARCH, TECHNOLOGY AND INNOVATION WHICH ENSURES WE STAY IN THE LEAD. WE LOOK TO THE FUTURE, TO NEW SHIPS, NEW DESTINATIONS AND WIDER HORIZONS TO EXPLORE. MSC & DORELAN together. On the one hand, a passion for voyaging the world by sea, discovering new cultures, flavours and beauty, immersed in comfort, pampered and relaxed. On the other, a quest for deeper wellbeing that sees the human being holistically, analysing what we need for sleep quality, the foundation of quality of life. Sleep well to live better is Dorelan's motto. Experiencing a profound feeling of wellbeing aboard and at home is a dream that's come true thanks to our new collection, available for you to buy here online. Sweet Dream by MSC is a real "Dream Collection" that allows you to create a personalized choice of both the mattress and the accessories. DORELAN CONDUCTS SCIENTIFIC RESEARCH INTO THE CAUSES AND SYMPTOMS OF POOR SLEEP AND DEVELOPS SOLUTIONS AND TOOLS TO OVERCOME THESE PROBLEMS. One of the results is our "Small Guide to a Pleasant Sleep Experience" which you can consult to discover how to improve the quality of your sleep.